Jason Upton is an independent Christian worship leader who has a large underground following. He has been compared to Keith Green by many people and was popularized by his appearances at services in Lou Engle's movement The Call. Some feel that he is unorthodox in his approach and critical of mainstream Christianity at times. He is somewhat critical of highly structured church services and varying degrees of professionalism in the church. Recent albums include Beautiful People and Between Earth and Sky. 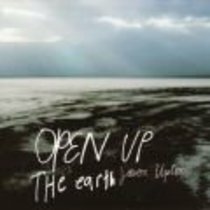 Customer Reviews For "Open Up the Earth"
Open Up The Earth is exactly what this album of Jason's is all about. opening up the people of the earth to Heaven. With the addition of the DVD, we get to see Jason and the band doing what they do best, simply worshiping and touching Heaven. Jason is one of many of a breed of worshipers that are not interested in just singing songs, but rather worshiping so intimately that for however long it takes and to whatever direction it takes we need to come into that Holy Place to be with and touch the Father. There is so much spontaneous worship in this album that many times you don't recognize where Jason's written songs start or finish and where you are caught up to a place where The Earth Opens Up to Heaven. I remember reading somewhere of Jason's first offer to lead worship. Someone overheard him worshiping in his home and asked if he would do that at a gathering or church. Jason's reply was that they would only get what they do in their prayer room. It seems it started from there. I have three of Jason's albums and each one is different. I love worship that has it's birth in the spirit and that can lead me into a new place to experience a more intimate time with the Lord.